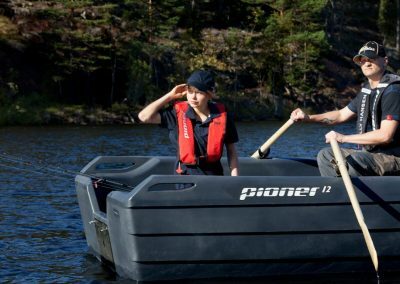 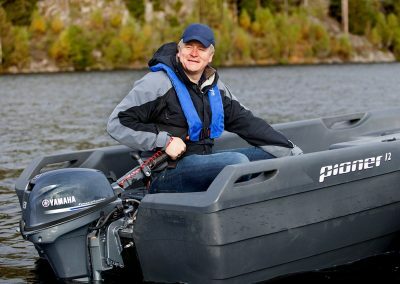 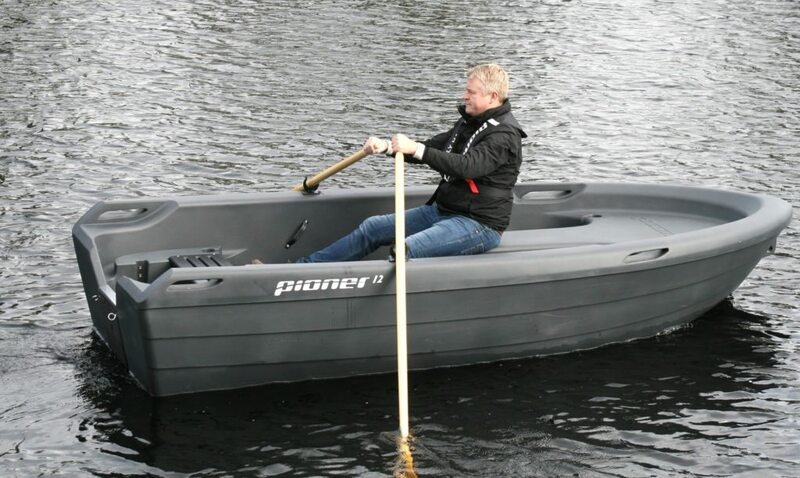 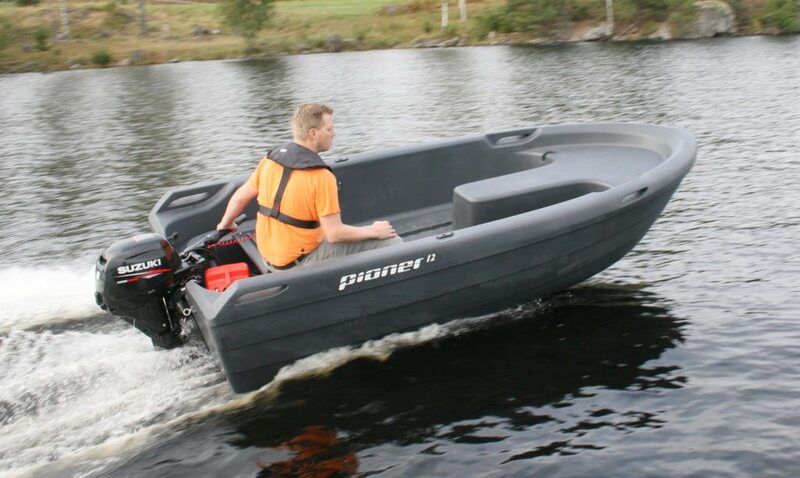 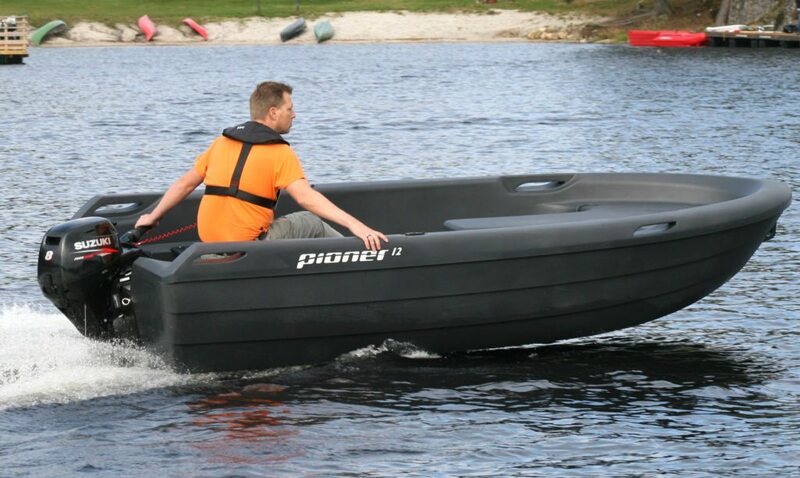 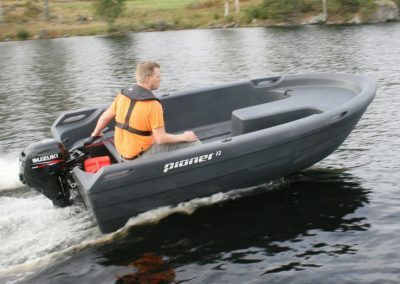 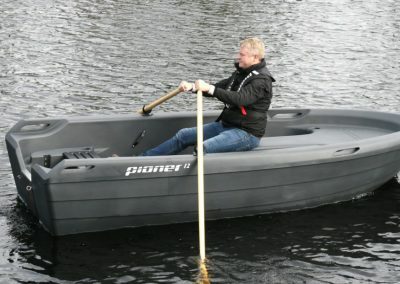 Pioner 12 Maxi is a fantastic little rowing boat, perfect for fishing and other leisure pursuits. 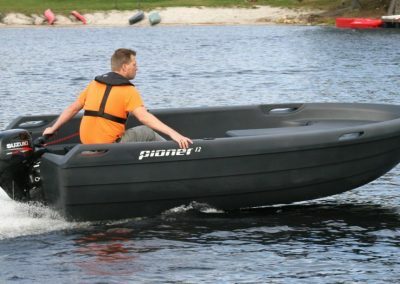 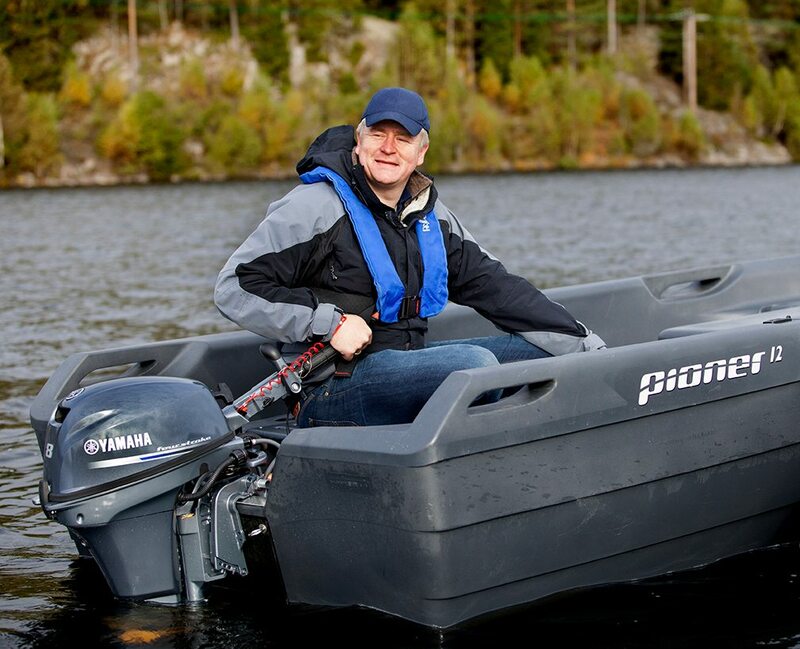 A low centre of gravity and a unique bottom construction makes this a safe boat suitable for the 4-stroke engines. 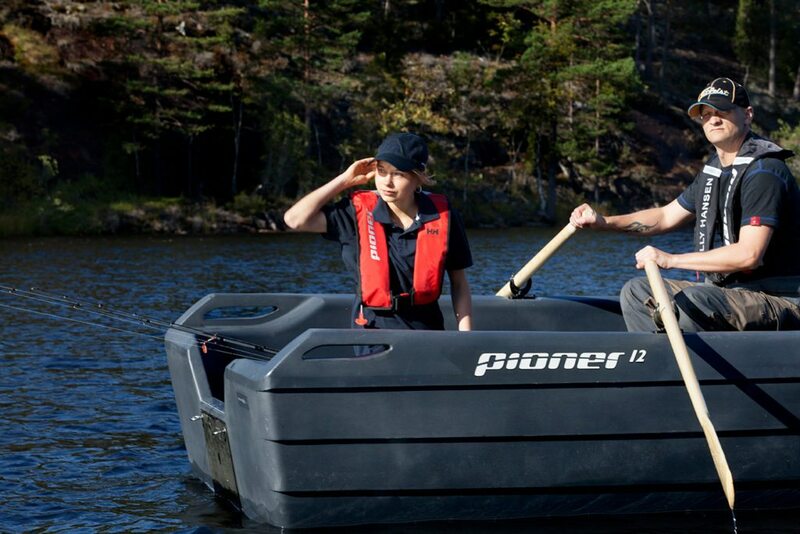 The Pioner 12 Maxi can take up to four people.